The homepage is the face of your website as here your visitors land first. Your first impression will decide whether your visitors will get back to you or not. Research has shown that a visitor stays for around 8 seconds on a site to decide whether to stay or leave. So, you need to make a great impression so your visitors stay longer and explore your site. If you want to improve the performance of your homepage, then here are some effective tips for you. These tips will ensure that your website has a positive impact on your audience. A logo is vital for company’s branding strategy. Your logo should represent your brand effectively. It should be unique and clear so that everyone can understand it at a glance. Make sure the logo is present at the top most part of the site. A logo with a great business tagline would be the icing on the cake. Social media networks are the inevitable parts of every business marketing strategy. This is a great way to increase leads and followers. And you can leverage the power of these platforms in your favor. Twitter, Facebook, Tumblr, LinkedIn, Google+, Instagram, Youtube, Pinterest, etc. should be clearly visible on your homepage so that people can easily connect with you. The best place to integrate social media icons is the header and footer of your website. Your website navigation should be clean and clear. This plays a vital role in user satisfaction and engagement. Navigation should be easily understandable so that your visitors can easily explore your website’s content. Showcase the basic internal pages such as about us, services, blogs, contact us etc. clearly. When a visitor visits your homepage and wants to have business with you, the first thing he will look for is the contact information. So, make sure they are able to reach the contact information page easily and quickly. Keep all the contact info such as email address, mailing address, form and phone number in the footer of your website. The primary goal of a homepage is to compel the visitor to browse your site and become your customer. You should show your visitors what action to take through striking call-to-actions. Use some punch lines such as ‘Sign Up’, ‘Register for Free Trail’, ‘Get A Free Quote’ etc. Optimize your CTAs according to your business and marketing objectives. If your website lacks any of the above elements, then it’s time to redesign your homepage. 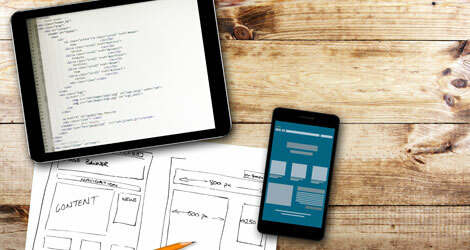 You can call our expert web designers and developers in Halifax to revamp your website.